Need to feed a few more people? 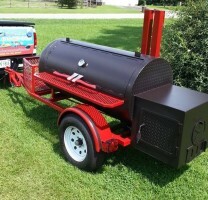 This trailer mounted 60" smoker is top of the line. 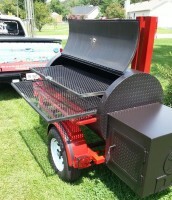 This HOT black and red model will smoke or roast anything and will also turn heads and impress your friends.